The Panthers have perhaps the best interior offensive line in the league when healthy. The combination of Trai Turner, Ryan Kalil, and Andrew Norwell provides not only a clean avenue for Cam Newton to survey the field and find the open man, but creates lanes and holes for the Panthers ground-and-pound running game to be successful. However, that combination has not been available to occupy the middle of the line for the past two seasons, with most of the blame falling on Ryan Kalil, who missed eight games last season and has missed the last two; the trio has only started nine games together since the start of the 2016 season. If Kalil is unable to go, he will be replaced for the third straight game by Tyler Larsen, who has played well in his absence. 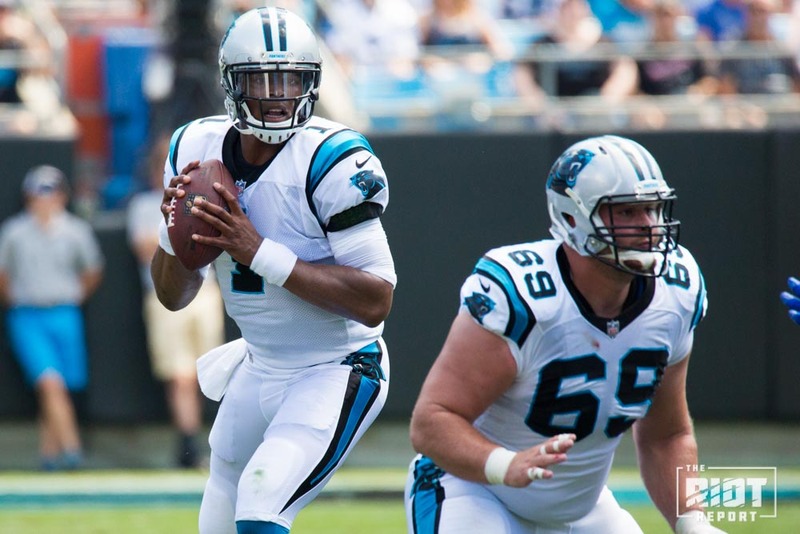 Losing a Pro Bowler at any position is a detriment to your team, especially one as important as center; quarterback Cam Newton has called Kalil a calming influence and his security blanket of sorts, and where Kalil is truly missed is in ensuring that the offensive line is set and ready for any blitzers that may be coming and all on the same page. Kalil played in San Francisco and that talented young front-seven was held without a sack; in the past two games that the center has been out, Newton has been sacked 10 times, including a crushing blow in the red zone last week against the Saints during which right tackle Matt Kalil misheard the blocking call and turned the wrong way, enabling Cameron Jordan to come unabated at Newton. While Larsen has replaced the blocking aspect of Kalil, the leadership aspect may still be missing. The interior will be tested by the Patriots defensive tackle rotation of Malcom Brown, Alan Branch, and Adam Butler. Brown and Butler will play the majority of the snaps while Branch spells them for rest as he works his way out of coach Bill Belichick’s dog house after the coach was displeased with the defender’s offseason conditioning. Last week against the Texans, the Patriots actually played a single-high safety with five guys on the line to better protect against the run game; don’t be surprised if they do the same thing again to challenge Cam Newton to beat him with his arm, especially early as the Panthers try to establish Jonathan Stewart and Christian McCaffrey. The Patriots defensive line has struggled thus far this season to contain runners, as they’ve allowed a whopping 5.24 yards per carry to running backs through three weeks, and have only stopped runners for no gain or a loss on 7% of runs, ranking them last in the league. This will be the second straight week the Panthers have faced a defense that struggles against the run, and the Panthers must stick with their running game to tire out these big guys up front and keep them from pinning their ears back on passing downs. On the outside, Matt Kalil and Daryl Williams will once again have their hands full with Deatrich Wise, Cassius Marsh, and Trey Flowers. Flowers will line up against Williams, and he had his way with Texans tackle Breno Giacomini last week to the tune of a sack and four quarterback hits; look for the Panthers to try to give Williams some help on the outside to account for Flowers quickness off the ball. Both Wise and Flowers are top-level pass rushers, so they will be the biggest threats to Cam Newton in the pocket. Kalil has struggled against speed rushers but luckily for him, rookie Deatrich Wise looks more to beat tackles with his powerful punch than with his speed around the outside, and this may help Kalil in setting the edge and creating a clean pocket for Cam Newton to throw in. If Kalil can stay engaged with Wise, who has two sacks through three weeks, he should be able to redirect him to not only allow Newton to step up and throw, but get out and run if he feels the pressure. For the first time this year, Matt Kalil is not facing a speed edge rusher in either Wise nor Marsh and therefore should be in a better position to succeed. 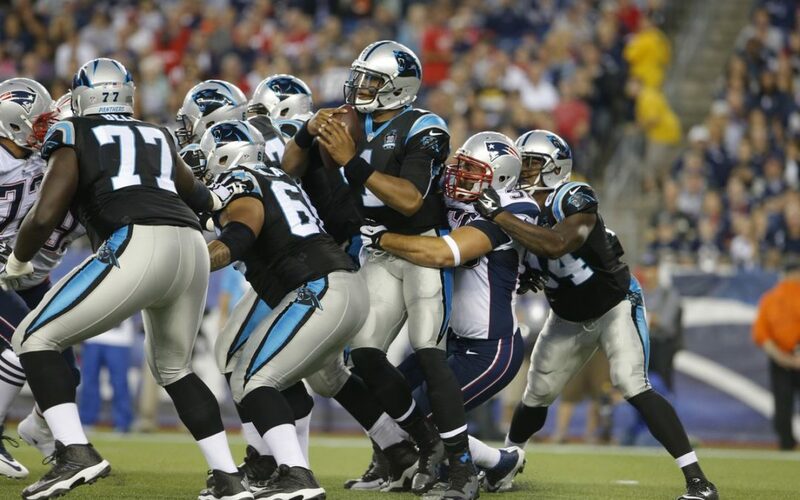 The struggles of the Patriots defensive lines to maintain their gap discipline and allow lanes for the quarterback to escape through should prove to be valuable for the Panthers as Newton is one of the best in the league in buying time and escaping the pocket. He should have plenty of opportunity to do that on Sunday in New England.